Cultural property; Conservation and restoration; Environmental aspects. World Heritage areas; Conservation and restoration; Environmental aspects. Hired by a wealthy client to find an elusive serial killer called Cain, professional bogeyman Jake Strait enters the world of the privileged--full of designer drugs, revenge, and murder. Original. 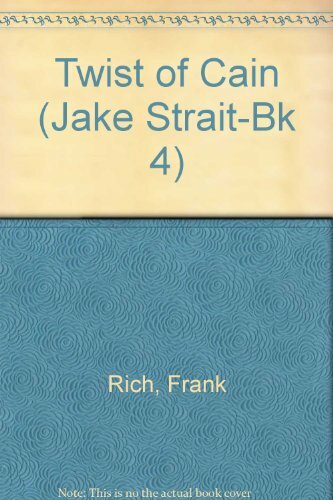 Amazon.com description: Product Description: Hired by a wealthy client to find an elusive serial killer called Cain, professional bogeyman Jake Strait enters the world of the privileged--full of designer drugs, revenge, and murder. About: When he is hired by one of the rich and powerful to find an elusive serial killer called Cain, professional bogeyman Jack Strait becomes trapped in a web of designer drugs, revenge, and murder where he discovers that he has been set up. About: Hired by a wealthy client to find an elusive serial killer called Cain, professional bogeyman Jake Strait enters the world of the privileged--full of designer drugs, revenge, and murder. About: Climate change is a critical issue for heritage studies. With David Harvey (other contributor), Frank Rich | from Harlequin Books (February 1, 1994); titled "Twist of Cain"
With David Harvey (other contributor), Paul Malone | from Harlequin Books (September 1, 1991); titled "Pipeline"